Stories from the April 6, 2014 issue of the GW Hatchet. Cherry blossoms draw tourists and residents outside across the District to see their petals sprinkled on the sidewalks, the grass on the Mall and every car parked along Constitution Avenue. 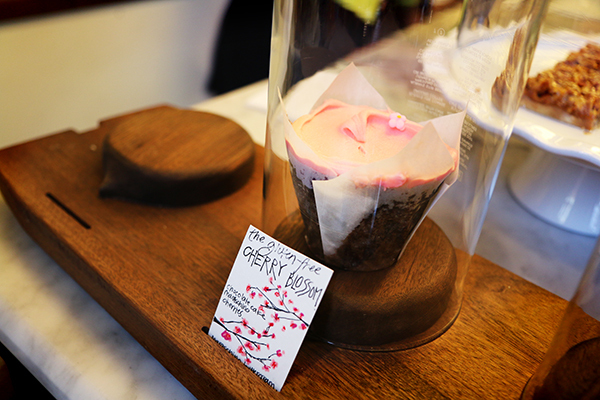 Though the trees don’t actually have cherries on them, the blossoms inspire chefs and popular food stops to add some cherry flavor and play off the popularity of the flowers. Here’s a list of some cherry blossom-inspired foods and drinks to sample while you take in the petals fluttering around D.C.